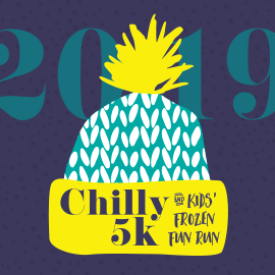 Bundle up and get a head start on your New Year's resolutions by running the 9th Annual Chilly 5K & Kids' Frozen Fun Run, benefiting the YMCA and sponsored by Freeman Health System and Frank Fletcher Toyota! We have so many NEW things planned this year! 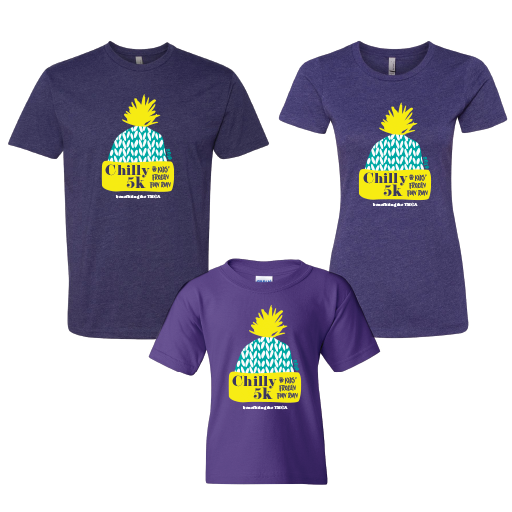 Registrants of the 5K will enjoy a soft cotton event shirt, fabulous custom FINISHER MEDAL, chip timing, start/finish line announcing/music by BoCa Enterprises, and post race snacks. 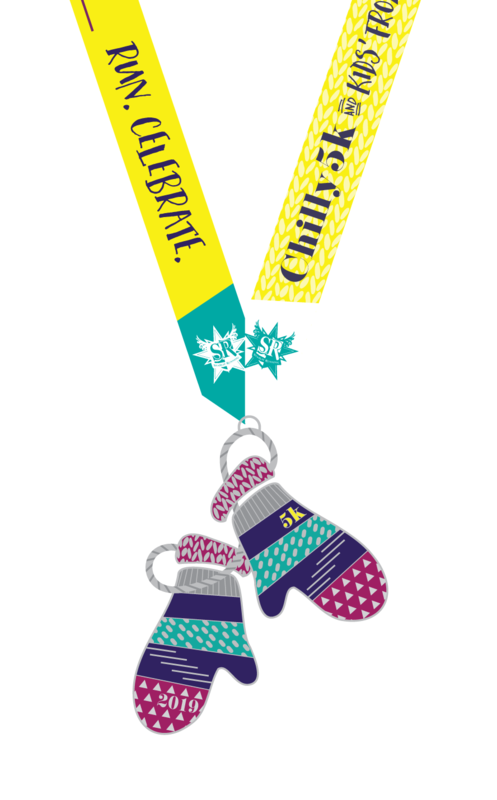 Kids' Frozen Fun Run participants will receive a participation medal, an event shirt and post race snacks. And, for those who want to add to the bragging rights of running on New Year's Day, we have the CHILLIEST COSTUME CONTEST! The 3 people wearing the chilliest costumes will be acknowledged and given an award at the beginning of the awards ceremony. (Just remember, this is a family friendly event). If running in your skivvies isn't your idea of a good time, but you'd still like to join in on the costume fun, we will also give awards for top 3 BEST NEW YEAR'S COSTUME. 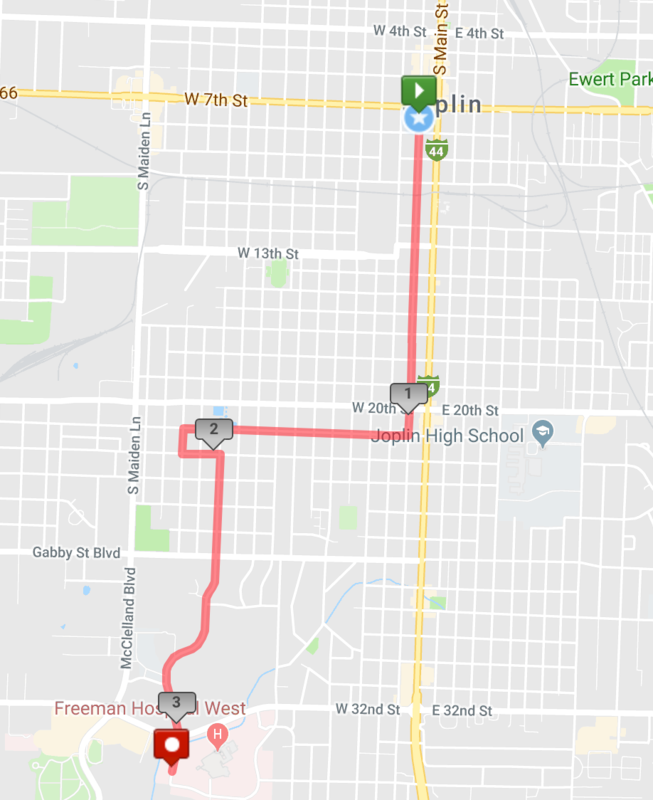 Famous for its fast times, this point to point DOWNHILL course begins at Joplin Memorial Hall (212 W 8th St, Joplin, MO 64801) and ends at the YMCA (3404 W McIntosh Circle Dr, Joplin, MO 64804). Note: there is no shuttle system. With a focus on youth development, healthy living and social responsibility, the Joplin Family Y has been dedicated to improving the wellness and well-being of our community since 1891. Your support of the Chilly 5K ensures that Y programs remain accessible to all local residents regardless of income. This means more working families can afford the childcare they need to remain employed, more children have a safe place to go after school, and more seniors can remain active and healthy into their golden years. Your participation in this event makes so much possible for so many, and on their behalf, we thank you! Packet pick-up will be held at the Joplin YMCA (3404 W McIntosh Cir Dr, Joplin, MO 64804) on Monday, December 31 from 9:00a.m.-3:00p.m. Race day packet pick-up will held inside Memorial Hall (212 W 8th St, Joplin, MO 64801) from 9:00a.m.-10:50a.m. 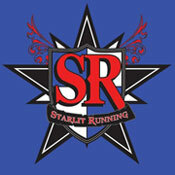 5K participants registered by December 21 will be guaranteed a short sleeved soft cotton event shirt. After December 21, shirts will be given on a first come, first serve basis. Registrants have the option to upgrade to a long sleeved pullover for just $15 during checkout. Runners will enjoy snacks and coffee inside the YMCA facility. ALL NEW: 5 year age category increments! Prizes will be awarded to the overall male and female in the 5K. Age category awards will be given for the following age categories: 12 and under, 13-19, 20-24, 25-29, 30-34, 35-39, 40-44, 45-49, 50-54, 55-59, 60-64, 65+ The awards ceremony will be held inside the YMCA at approximately 12:00p.m. Bob Brown with Boca Enterprises will be there to cheer participants through the finish line and keep everyone informed during the event. Fun Run participants under the age of 12 will receive an event shirt and participation medal. All Fun Run participants will enjoy post-race snacks and festivities. Run your virtual race distance anytime during the month of January. On or after race day (January 1), post your time result on either the Chilly 5K Facebook event page or on your My Activities dashboard on LocalRaces.com. Absolutely! Taking into account the temperature on race day, well-behaved, leashed dogs are allowed on the race course. 3. Can I walk the race? 4. Will the race be cancelled if the weather is bad? Cancelling an event is a last resort. Only in the event that the weather is so severe that runner safety is in jeapardy would we consider cancelling.